Guess what?... It's Monday... Again... I feel like we are always here. It's always Monday and you are always reading my blog. Of course, you are. This is the day we lay out everything for the week. Monday! Its been a really hot week, but a good one. My husband is doing great at his new job. He transferred stores to one that it way closer to home. He was driving an hour to and hour and a half each way, now its an eight minute drive across the Oregon City bridge. Big difference. The boys love having him at home and so do I. It's amazing. 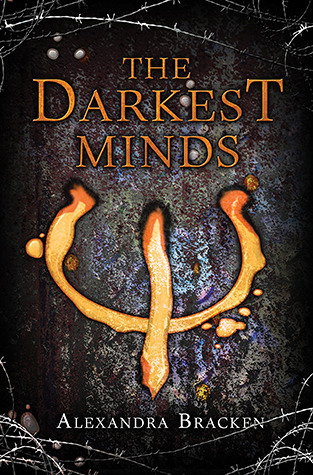 This week I'm planning on reading The Darkest Minds by Alexandra Bracken. My sister keeps raving about this book and now they are making a movie out of it, so it must be special. I will read it and report back to you. Let me know your thoughts on this book in the comments bellow. Last weeks book You by Caroline Kepnes was crazy good. It was creepy and written from the stalkers point of view. It was unlike anything I have ever read. A total must for anyone with a twisted mind like me. 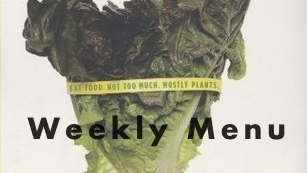 Anyway, on to this weeks menu. Enjoy!